History books are full of stories of the wealthy, the powerful, and the influential—the insiders. History has also taught us influence easily captured can be easily lost. Insiders can become outsiders and outsiders can be absorbed into the ranks of the insiders. Indiana’s insiders are often referred to as Hoosiers and were typically White Protestants at the beginning of statehood. History, and this tour, illustrate the shifts in this conception over time. Throughout history, various groups of outsiders have settled in Indiana. These groups of outsiders were often those who held little power or influence in society, were subject to discriminatory practices and disparate conditions, or represented a small percentage of the state’s constituency. This tour of Indiana’s outsiders begins in the early 1800s and continues into the 1940s. Throughout these years, you will see spaces built or touched by the diverse ethnic groups that have called Indiana home. The stops on this tour include a state park that was once the site of a great Pan-Indian confederacy, a canal built by hardworking Irish immigrants, a school for immigrant children, and a Mexican community centered around the steel industry in Northwest Indiana. Against the backdrop of community building, the stops also share stories of persecution, including an African American race riot and the discrimination faced by Jewish and German immigrants at home and abroad. Outsider communities in Indiana shared kinship and support, often against a backdrop of prejudice, inequity, and alienation. 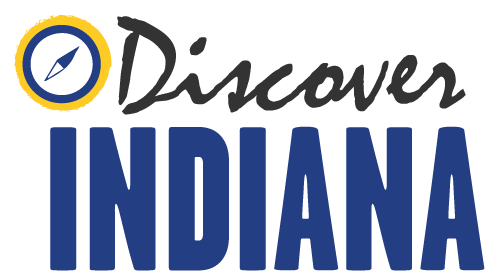 Indiana has been home to varied groups of people— including Native Americans, Germans, Irish, African Americans, Jews, and Mexicans. These communities were full of diversity in language, customs, and culture with complex histories of immigration, migration, and ethnicity. Indiana's bicentennial gives us the opportunity to look at Indiana history as a story of insiders and outsiders. Who are the insiders and outsiders in Indiana today?